Nimblestack works with emergent technology in a fast, integrated manner by simplifying and automating software. Nimblestack specializes in Artificial Intelligence, Chatbots, Internet of Things, Apps and Robotics product development. Nimblestack’s mission is simply, Build Great Products! Nimblestack was launched during the Internet Of Things boom, so that became the initial focus of the company. Thanks to its patented technology, Nimblestack was able to quickly grow into other markets like Artificial Intelligence, Chatbots, and even robotics. The management process used in Nimblestack was developed and perfected over the last 15 years. Thanks to this process and a passion for invention, Nimblestack aims to be a leader in building advanced technology products and managing the teams that build them. Gabriel Oritz has 15 years of marketing, sales, and operations experience with every size business. He has a passion for building great brands for great products built by amazing teams of awesome people. His primary focus for our customers is clear communication, ample preparation, and organized execution. 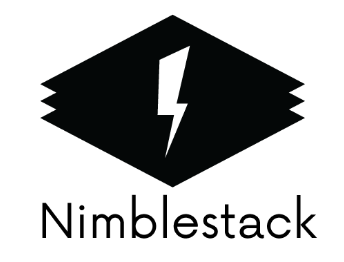 Nimblestack specializes in emergent technology in a fast, integrated manner by simplifying and automating software.